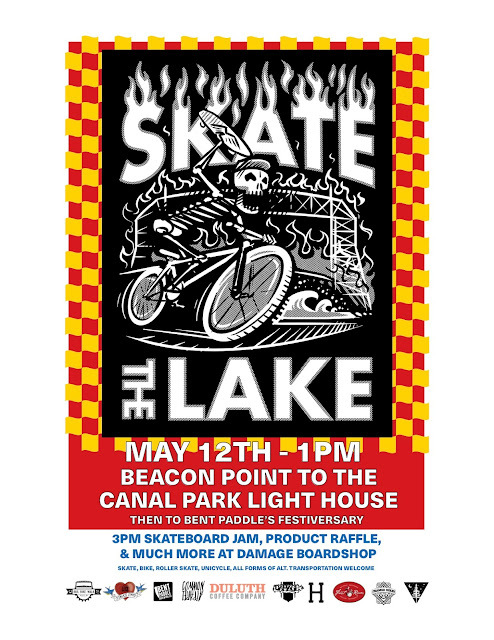 Help celebrate 13 years of DAMAGE and Bent Paddle's Festiversary this Saturday, May 12th at Skate The Lake! Everyone will meet near Beacon Pointe (2221 E Water St) at 1:00pm, roll to the Canal Park lighthouse, then to Festiversary. All forms of alternative transportation are welcome to join the cruise. 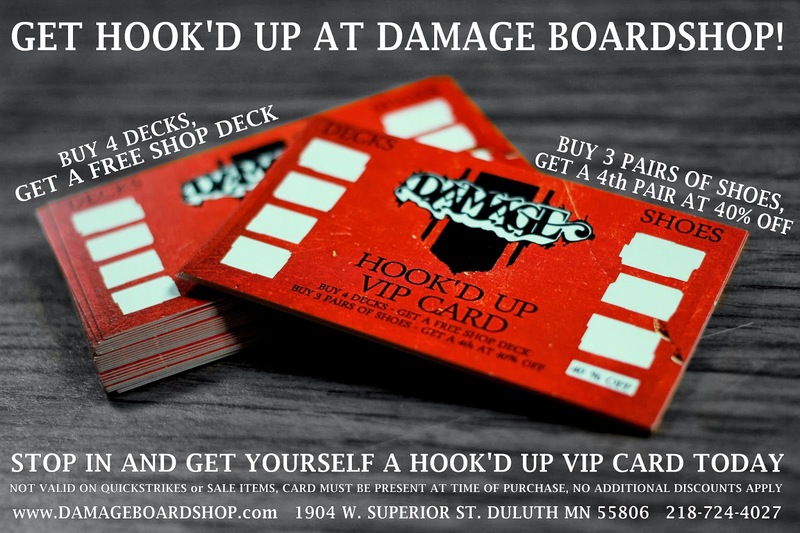 There will be a skate demo in our back lot around 3:00 along with a raffle and plenty of Bent Paddle beer for the 21+ crowd. 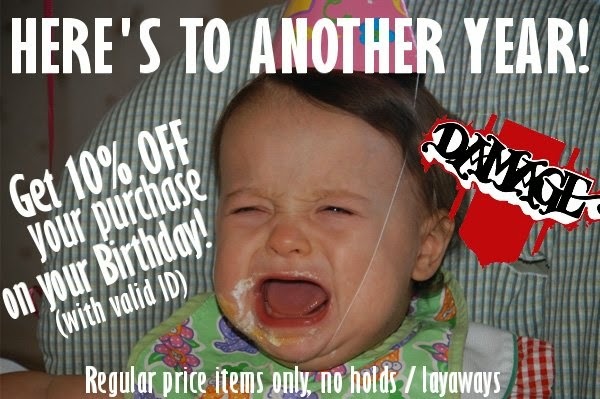 Participants will get a wristband for $15 off entry to Festiversary (you pay $10 instead of $25). Come out and celebrate with us!